The AdvoCare Herbal Cleanse product comes in two versions. Citrus and Peaches and Cream. 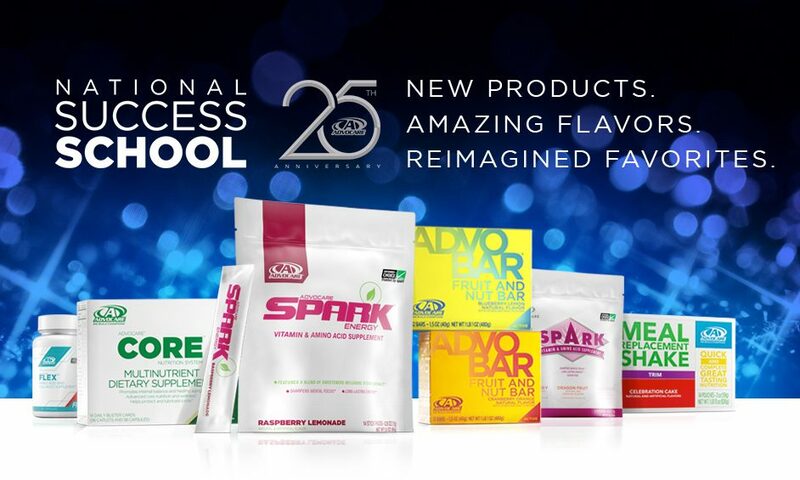 The AdvoCare® Herbal Cleanse system can help rid your body of toxins and waste with its unique blend of herbal ingredients. * Using a systematic approach, this 10-day system guides you day by day through the steps for thorough internal cleansing and improved digestion. * Herbal Cleanse supports the body’s metabolic systems and general health during the detoxification process by helping to keep energy levels up, aiding in removing impurities and supporting the immune system. * Some people who use Herbal Cleanse for the first time experience an encouraging weight reduction and/or reduction in inches when they pair the system with the recommended diet and exercise. Take on days four through 10. Fiber Drink:: Fiber Drink is rich in the mixture of fibers your body needs to work at its best. * Each serving contains 10 grams of soluble and insoluble dietary fiber to help add the fiber your diet may not provide. As part of the Herbal Cleanse system, Fiber Drink also helps move the toxins and waste material through the digestive tract while scouring your intestinal tract to support improved nutrient absorption. * Take on days one through three and again on days eight through 10. Herbal Cleanse Tablet: The Herbal Cleanse tablet provides herbal extracts that help rid your body of the impurities that may be obstacles to achieving better health. * One ingredient, senna leaf extract, is known for its use to relieve occasional constipation, as well as to encourage the movement of waste through the intestinal tract. * Beet root powder and wheat grass juice are included to aid in the reduction of metabolic by-products in the blood and liver. * Cranberry juice powder helps cleanse impurities from the kidneys and aid in excretion through the bladder. * The Herbal Cleanse tablet also contains milk thistle extract, which has the active component silymarin. Silymarin has been traditionally used to aid in eliminating toxins from the liver and is also an excellent hepaprotectant and antioxidant. * Echinacea, astragalus, garlic, zinc and vitamin C help support the immune system. * Herbal Cleanse tablets also contain a wide range of B-vitamins to help maintain energy levels during the detoxification period. * Take on days one through seven. Excellent story, I am going to bookmark 24 DAY CHALLENGE » Blog Archive » 24 Day Challenge Instructions – Cleanse Phase.